The Carters Lily 3 Piece Crib Bedding Set features dotted swiss and traditional eyelet in a snowy white fabric. This classic style makes it a great decorative piece to any nursery. 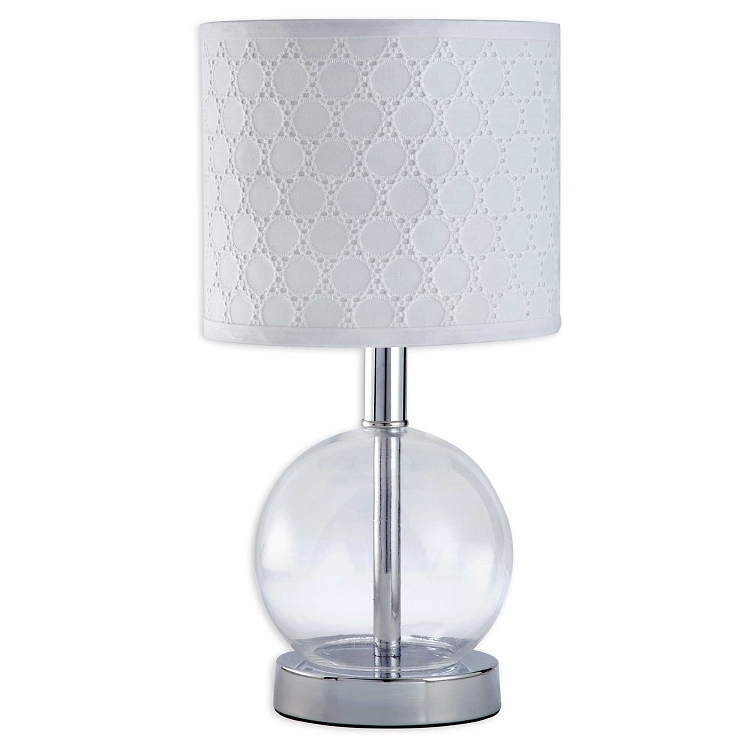 The Carter's Lily Lamp Base and Shade classic style for your baby's nursery. Paired with a clear acrylic base, light shining through this simple and sweet shade will further highlight the beautifully textured fabric.